Paul is a highly accomplished property professional with deep experience in real estate sales, construction development, marketing, service delivery and operations. He has an exceptional track record in real estate sales, achieving Gold Badge status at the Australasian Real Estate Awards in 2013 and maintaining that level in subsequent years. 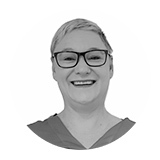 Anna has specialized in providing outstanding Customer Service for over 15 years ensuring quality outcomes for clients of corporates like AAMI, Medibank and Hertz. Anna has always had a passion for real estate, since buying for her first home at 25 and climbing the property ladder ever since. This combination of providing outstanding customer experiences and property knowledge means Agent Select's clients always get the success they deserve when looking to sell or lease their homes. 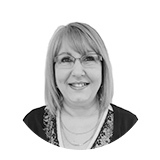 Jessica has over 20 years experience in customer management. She has worked for one of Australia's top Universities, where she gained many certificates in her ongoing training and development. Her career in the Real Estate industry has been exciting and positive and she continues to gain further knowledge and experience with further education and training. Jessica's rapport building skills are a valuable asset. 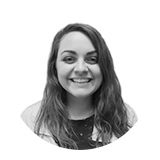 Casey joined the Agent Select team with a wealth of knowledge in both Real Estate and the Customer Service industry. Having worked previously as a marketing specialist and a real estate agent, she knows the ins and outs of the business and is thrilled to be able to offer this insight to Agent Select customers. 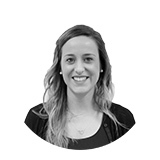 Bianca has a strong knowledge of the Property Settlements industry through her work with SAI Global. 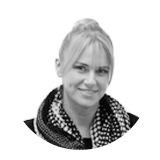 She has worked closely with four major Banks - Bankwest, Commonwealth Bank, HSBC and CUA completing their Settlements. During this time Bianca developed strong relations with each bank by problem solving and managing their SLAs & escalations points. 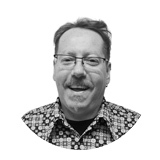 David has over 20 years domestic and international experience in the automotive, financial services, gaming and wagering categories. 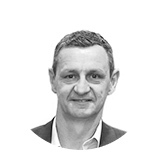 He has held senior leadership roles across General Motors Finance and Tabcorp in areas including business development, commercial strategy, operations and marketing. Prior to Agent Select, David was Executive General Manager, Marketing at Tabcorp, serving on the Group executive committee. 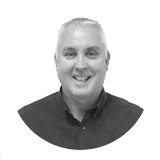 Tim has over 25 years in the property and finance sectors with expertise in risk management, property processing and business development. He has held senior roles with GE Money Home Lending and SAI Global Property with a focus on delivering outstanding client services and bringing innovative solutions to market. 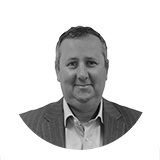 Ian has more than 20 years senior management experience in the financial services sector. 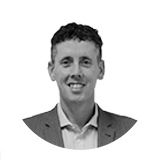 Most recently Ian was Head of Operations for a leading national recoveries and distressed asset management business, with leadership responsibilities in areas including commercial contracts, operational management, mortgagee asset disposals, executive stakeholder management and regulatory compliance. Prior to this role Ian held senior operational roles for many years with ANZ in mortgage originations. Karim has over 15 years experience corporate brand building and strategic marketing. He has held senior leadership positions in Tabcorp, Village Roadshow and Philip Morris. An avid property developer for 20 years in his spare time, Karim brings a customer perspective to the Agent Select service ensuring outstanding experiences are delivered. Nigel began working with Internet technologies in the early 1990's when the web was still in it's infancy. 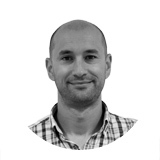 With a strong focus on data interpretation and intricate programming skills, he has built over 200 websites and applications for clients including CBUS Property and Australand. A member of the CPA, Kylie has developed a career in both a non-profit and commercial finance environment. The past 8 years working for a private developer and property management company. During this time she developed a strong interest in property, starting her own investment portfolio 7 years ago.